Once you have made the decision to live in France, whether full-time or part-time, sooner or later you will need to address the question of how to organise your finances. If you only spend a little time in France, it may be possible for you to continue to bank in the UK, using travellers' cheques and withdrawing money from hole in the wall machines with your English credit/debit card, but if you plan to spend any considerable time in France it makes sense to open a French bank account. This can be daunting, if your command of the language is not up to the complexities of organising your finances in French, and if you are not familiar with the system. In France, the banks are usually one of two types: co-operatives or commercial. Commercial banks, which have branches in most good sized towns, include Crédit Lyonnaise, Banque Nationale de Paris (BNP Paribas) and Société Générale. The co-operatives include Crédit Agricole, Crédit Mutuel and Banque Populaire. The key difference between the two types is that the co-operatives are independent, and originated not as banks in the sense that we are used to in Britain, but as community institutions in separate localities. Crédit Agricole is now the largest co-operative bank in France. It is also possible, as in the UK, to bank with the Post Office. The Post Office in France, or La Poste, offers an economical and practical alternative, particularly for those living in rural areas where there is access to a village post office, saving the long trip into town to reach a bank. There is a third possibility for English speakers who need to bank in France. Crédit Agricole have set up a service known as Britline, which although based in Normandy, provides English speaking banking services for the whole of the country. They can be contacted by telephone on 00 33 (0)2 31 55 67 89, by fax on 00 33 (0)2 31 55 63 99, by email - Britline@ca-calvados.fr, and have a website which is www.britline.com. It can be reassuring to know that you can sort out any banking worries over the phone with a friendly English speaker, and many British ex-pats have found this service to be invaluable. Opening a bank account, like almost anything else you do in France, requires more paperwork than you would ever have thought possible. You can, theoretically, open an account by correspondence, but this is quite complicated and requires first an application form from the bank of your choice, a letter of recommendation from your current bank (if written in English expect complications! ), a photocopy of your passport, a certificate of your signature witnessed and signed by a solicitor, and a euro draft to open the account. If you are in France, you simply make an appointment and turn up, armed with a passport, utility bill showing you have a French residence (or letter from your notaire) and from there on it is a fairly straightforward process. You will probably find that the bank wants you to take out at least basic insurance policies with them, such as household insurance and school insurance for children. It is also useful to set up an online banking facility at this point. There is one thing which ladies should be aware of, and which can come as something of a shock to those of us who have moved from the UK. If you are married, and ask to open a separate account in your own name, it is likely that you will be asked to obtain proof of your husband's permission! When you open your account, you should ask for a bank card as well. This is known as a carte bancaire, or carte bleue. The French tend to use bank cards or cheques to pay for most things, rather than cash. Once more, ladies, you will need to make a specific request for a card in your own name, as if not there will be one card only, issued to your husband, although in practice you will be able to use it without question. All cards are chip and pin, so learn the numbers! The French do not widely use credit cards, most cards are debit only. There are charges for cards, but they are fairly minimal and there are frequently "promos" running which allow you to have a new card free of charge for a year. Individual charges for cards and current accounts are best discussed with your bank, as they can vary. When you open your account you will be given a bundle of these slips, known as Ribs (Relevé d'Indentité Bancaire), pronounced "reebs". They are simply slips of paper with your account information on, and you will need them to open utility accounts, pay bills by post, pay your social charges, apply for your carte vitale and many other things. When your cheque book arrives, usually about two weeks after opening the account, you will find that there are some ribs in the back of this, too. When you first receive your cheque book it is a wise idea to familiarise yourself with the form of the cheques before you need to use them, as it is a little different from in the UK. The first line of the cheque (marked "payez contre ce cheque") is where you write the amount, in words (and in French! ), which corresponds with the amount in figures in the box on the right hand side. The name of the payee goes on the line below, marked "A". The other major difference from the writing of a UK cheque is that you need to detail the name of the town in which the cheque was written, as well, as the date. The place for this is in the lower right hand corner, just above the dateline and your signature. A note of caution, here, with regard to writing cheques. It is illegal to bounce a cheque in France. Known as "wooden cheques" (chèques en bois) rather than rubber, an accidental overdrawing on a cheque will set in motion the following chain of events. First, you will receive a registered letter from your bank, requesting you to put in place the necessary funds within a certain time limit. (You may also be fined at this point.) If this is not done or if you overdraw your account twice within any single year, your account will be withdrawn by the bank. You will then be on a blacklist for three years, and unable to open any account in France for the first twelve months of this period. A bouncing cheque in France is not something taken lightly! It is also worth noting that cheques can clear much faster in France than in the UK. A cheque drawn on the same bank that it is paid into can clear the same day. Most cash transactions in French banks are automated, negating the need for long queues at the counter. Cash withdrawals are made in the same way as in the UK, via hole in the wall cash dispensers. These are found inside and outside banks, and often in supermarkets and other shopping areas too. Cash payments can also be made via a hole in the wall machine, located inside the bank. To operate this you first enter and validate your card, then place your cash (notes only) on a drawer. The machine takes in the cash, usually counts it and asks you to verify the amount and the account number. You then receive a receipt detailing the transaction. Please note that with some banks, as in the UK, cash can be deposited in envelopes which is not counted or verified at the time of deposit. To pay in a cheque you will need to fill in a self-duplicating slip, tear off one leaf for your own records, place the other pages and the cheques in the envelope provided and drop it into a box inside your bank. Statements are also obtained via a machine in your bank. You simply insert your card, and an up to date statement appears, detailing all transactions since your last statement. Take care of this, however, as no other records may be available. As in the UK, you will find that most utilities providers prefer you to pay by direct debit, known as Prélèvement Automatique in France. This is simple to arrange with your bank, or directly with the company, using a Rib. You will see, then, that the French banking system has some essential differences from the English system. If you speak French well, your banking life (as every other aspect of your life!) will be much easier, but there is always the Britline option if you find the whole thing too daunting. In my experience, however, there is usually someone in the local bank who is able to speak a little English (as ever, they only discover this ability after you have attempted to speak French) and everyone has been very helpful, showing us how to use the machines, open accounts for our children, and generally sort out our financial affairs. Best advice? Consider the options carefully, arm yourself with all the information you can find, and keep the paperwork in order! Having recently been caught out without petrol at night, with a considerable journey in front of me, I discovered the limitations of an English credit card in France! I was very interested to find your site while trying to discover whether it was possible for me to acquire a carte bancaire and so avoid the possibility of any repetition. The information on your website was very interesting in many ways, but I remain unclear as to whether I can get a carte bancaire without opening an account with a French Bank. Not being resident in France, but rather a visitor once or twice a year, opening an account specially for this would seem a little "over the top". I would be most grateful if you could let me have the definitive answer… I am sure I have read somewhere that some English banks can and do issue cards compatible with the French system. Many thanks for your kind attention. My feeling would be no, that you can't get a carte bancaire without opening a French bank account, as the carte bancaire issued by the banks is a direct debit card not a credit card. But, there are cards such as Geant cards which may work as a debit or credit card. Geant is a big supermarket and whether it only does the cards for its own use, ie: to use in store only, or whether you can use them elsewhere like a credit card I am not sure. I don't know about other cards. Of course, you can use an English card in many contexts in France, but after hours petrol stations are notorious for rejecting anything other than French cards, as are unmanned auto route toll booths. Can you please explain to me how and when a non-resident current account is classified as inactive or dormant, and what this implies, and how to avoid it if possible. "Crédit Agricole have set up a service known as Britline, which although based in Normandy, provides English speaking banking services for the whole of the country. They can be contacted by telephone on 00 33 (0)2 31 55 67 89, by fax on 00 33 (0)2 31 55 63 99, by email - Britline@ca-calvados.fr, and have a website which is www.britline.com." Hi - I wonder if you can tell me what is required to open a bank account with the French Post Office. I have tried Britline but they are too slow and unbelievably bureaucratic. This has been made far worse by the appalling service of the Royal Bank of Scotland who are far worse. The British postal strike has complicated things further. Several very important points to bear in mind. I shall NOT have a permanent address when I move over but will be staying in a B&B for several months therefore I will NOT have utility bills with an address on them. Thanks for contacting us. I have been in touch with my colleague in France who says that she thinks this will be a sticking point, the fact that you will have no permanent address in France. Everywhere, as far as she is aware, will ask you for utility bills etc. However, she is seeing if she can find out more. In the meantime she suggests you try Barclays in France, who are growing fast, and may be more helpful. Hello - I have opened an account with Britline and did the whole thing on-line and by post. I have to say it was not an unpleasant experience although the amount of paperwork was a little daunting. I have heard that in certain circumstances one needs to sign a cheque on the reverse. Can you clarify this for me please. "The only time I use the back of a cheque is when I pay a cheque into the bank via the slot in the wall. You fill in the form, then add your account number and name onto the back of the cheque you are paying in. But I don't think you have to sign it as well. Apart from that I can't say I have had to do it." Perhaps you could check with a Britline advisor, who may be aware of other situations where this is necessary? Help - is it possible to pay the Fonciere, Insurance and Habitation bills from my UK bank account via internet banking or do I have to have a French bank account? At present it is costing me each time I transfer money from my UK account to French bank account and then again each time I write a cheque, I would prefer to be able to pay direct to the authorities concerned - is this possible? Very many thanks. Thanks for contacting us. I have been in touch with my colleague in France who says she can't see why you couldn't pay your bills directly from a UK bank account via internet banking, but you would still have to take the rap on the exchange rate. She says the people to ask are the people at your Tresor Public office. You can find details of these offices from the website http://lannuaire.service-public.fr/navigation/accueil_sl.html. Or further information on electronic payment of bills can be found on http://www.impots.gouv.fr/. I hope this information may be of use. We live in UK and have a Soc Gen bank account. I want to pay in a Euros cheque but have not been provided with any payin slips by the bank. The cheque is not for a huge amount so not worth paying into UK account, what with the associated costs. As I am currently in the UK, do you have any suggestions as to how I can do so? (I don't suppose signing the back of the cheque and a cover letter with the bank details would suffice?) Many thanks for any advice. I really don't know how you would do this other than wait until you are in France, or send it to someone who is there to do it for you. Perhaps you could call the bank and ask what to do? Maybe posting it would work, but many French banks are not too good, so not sure I would trust them. I have had a payment made from a French bank account to my UK bank account, how long does it normally take for this payment to show on my account? Thanks for contacting us, though I am afraid I am unable to answer your question. I would suggest you contact the banks concerned, to find this out. I wonder if you could help please. We have a French bank account attached to our mortgage with the Societe Generale. It was opened for us when we were seeking a mortgage for our property in the south of France but the branch is in Angouleme for some reason (we think this was a mix up by the company we were using as the person we were dealing with got us mixed up with clients who were buying in that area). Anyway, whilst I have learned some language basics, banking terms are very difficult and machine translation doesn't really work as we've found out to our cost. The branch staff don't speak much English, probably limited to the same level of my French! What I would like to know is, can we switch branches as easily as we do in England? I know there are English speaking staff in Nice and we would really like to get to grips with the system but we have so many questions to ask, not fully understanding the benefits of our account. Everything I know, I have read up on but we thought we had a 400 Euro overdraft facility on our account and made a costly mistake to find out we didn't and general reading around shows that the French don't actually offer much in the way of credit facilities so we really would like to speak with someone and get to grips with our finances over there. However, I don't know if this is possible if you don't belong to a particular branch? Thanks for contacting us. I don't think there should be a problem switching branches, though I have had no experience of this. Could you not contact the Nice branch, as you say they have English-speaking staff there, and ask them the procedure? You could also try asking a company which assists people living in or moving to France, such as Help in France, which we have listed in our Business Directory. They can be very helpful in situations like this. Hi - I am with the Societe Generale and have owned a second home in France for 19 years now. I still reside in the UK. I speak fairly adequate French so no problem there. 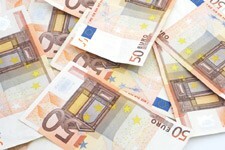 But there is a problem now in that they call me up about every deposit over 1000 Euros and ask me to verify its origin. I was given a present of 1000 Euros and was not allowed to deposit it because I had no paperwork to support its origin. Then the bank had the cheek to ask why I had not transferred money into the bank from abroad between May and July. I replied that I did not need to as I had sufficient funds already. I have had enough and am going to change banks. I have found them to be totally incompetent in any case on all fronts. Making a bank transfer on line is a joke. Even for small sums, they insist on calling my UK mobile (I have no French one as the credit expires within 30 days) and delivering a code that is far too long at lightning speed. It is incomprehensible. My French friends cannot understand it either. A woman speaks first, followed by a man. This is for a foreign account! You have three go's and then this terrible service cuts you off. Even if you are sure you have the number correctly, it usually does not work - sometimes I think it relies on a French keyboard. So you give up and mail a cheque. They also charge for transfers, which some other banks do not. I do not recommend this bank at all. Britline is also expensive - it charges for internet use as of May this year. I would be grateful if someone could give a low down on all the banks and also is this new policy by my bank the same across the board? The only bank that people I knew seemed reasonably happy with was BNP Paribas. Certainly they were the only bank I knew that would exchange money or even let you swap a high denomination note for smaller, usable ones." I'm sorry we can't be the bearers of better news! Should anyone reading this be able to offer any recommendations, please do get in touch. Thank you. I have decided to go with HSBC in Toulouse. At least it is English. I will let you know how it goes. The HSBC was a disaster and VERY unprofessional. I made an appointment by phone to open an account for my husband and myself. We had had a premier account there ten years previously but closed it when we moved from HSBC to First Direct in the UK. We got to the bank with all the required paperwork as requested. A young snotty bilingual lady took an incredible amount of personal info, including the last three years accounts from my husband (barrister so self-employed and not of minor income). We told her that we would be retiring within about five years and moving our funds to France. AFTER she had taken all this information, including of our properties in the UK and Spain, she said that the terms of HSBC had changed and that they only offered accounts to people who kept a minimum deposit of 75,000 Euros with them. Our assets are presently in property and we would certainly not leave 75,000 sitting in a bank in any event. Not with their track record! My husband is unflappable and s normally very diplomatic. It is his profession after all. But he cooly and frighteningly lost his temper on this occasion. Our time had been wasted and personal info taken needlessly to boot. He insisted on retrieving all the notes taken by the lady and tearing them up in front of her. He advised her that we should have been told the facts and conditions of an account with HSBC BEFORE this information had been taken. That we had been sitting there for 40 minutes and the onus had been on her to be upfront. Personally I thought it should have been done when I called to make an appointment. So there you are! We are off to BNP now. At BNP the account manager interrupted our meeting to call a restaurant and make reservations for two in a local restaurant! Next meeting the same thing happened. All our paperwork has been sent to the wrong postcode, despite the fact that he had bills with address printed. I have decided to make any more appointments after lunch! To be updated - but what is happening with France? The bank wants us to go to the consulate and get a stamped affidavit that we actually have and live in our address in the UK. This despite supplying tax returns and utility bills. The reason? Most people from abroad who open an account already live here so it is easy to take your utility bills from your French domicile. I don't think so. I told the bank that it is not the consulate's job to provide requested document. They conceded that I could get a letter of introduction from our UK bank, though why statements are not enough is quite amazing. Note that our utility bills in France are addressed to our UK address AND state they are for our French "maison secondaire". Why oh why is this not enough? Finally the account is opened, the direct debits are set up, but we are not allowed a card or cheques. I live in Levroux (36) and my branch of HSBC has just closed down. Will I be charged for using another bank's ATM? I would think that in France, as in the UK, many ATMs are available to use free of charge, but for some this may not be the case. So I can only suggest you contact the bank whose ATM you want to use and check with them. Caxton FX have a facility where you pay in say £500 or upwards and then you can have a debit card which works well but I am told the exception is Peage. Some great advice here but your assertion that you can't use an English bank card at an automated petrol pump is not correct. I have just returned from France and used my card three times in a week with no problem. For those of you who have had problems with a bank, I would recommend Credit Mutuelle. We have three accounts with them and have no problems. We pay a monthly fee of 6 Euros, bank on line and money transfers via FX appear in the account within three hours of sending. Just out of interest, we live in France and have an automatic telepeage for the toll roads. It only costs 1.50 Euros a month and then only the month we use it!! So much easier if travelling alone, you just drive through, no faffing about with cards or cash. I also need to say the advice about using UK credit cards in this article is incorrect. We use a UK card for buying diesel and food because the exchange rate is very good and we use it on autoroutes and at automated service stations with no problems at all. We stay in France for six months every year and have used a Caxton Card for everything for the last four years without a single rejection (excluding out of hours petrol stations & auto route tollbooths). We have never paid a centime in charges for purchases or withdrawals using BNP ATM's. Highly recommended.